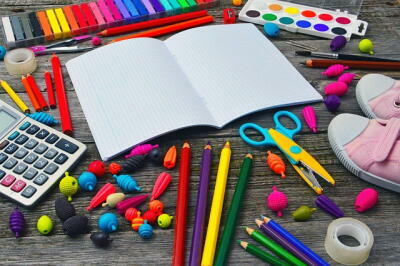 Go Green This School Year with These Eco-Friendly Shopping Tips - Planet Aid, Inc.
With the summer winding down, children and parents are beginning to make the necessary preparations for back to school. While an exciting time for children, it can be a stressful time for parents having to provide all the new materials for their child to have a successful school year. It seems each year that the back to school supplies lists get longer and longer. 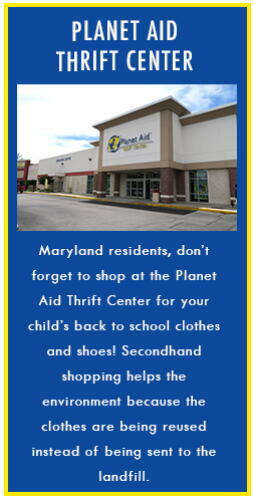 This year, why not make back to school shopping a little greener. Not only will you have more green in your pockets, but you’ll also help the environment. We’ve provided some tips for how you can expand your child’s learning experience without expanding landfills. Before going out and shopping for new school supplies, look around the house for extras from last school year that can be reused. There’s sure to be binders, folders, and unfilled notebooks (just tear out the used pages) laying around that can be reused. For materials like highlighters and pens, collect what you can from your junk drawer and send your kids to school with those before spending money on brand new packs. This will give you satisfaction in knowing not only are you helping the environment, but you’re helping your bank account, too! For supplies that you have to buy, try to reduce the amount you buy. Often times, supply lists include items that your child may not necessarily need. If possible, send your child to school for the first few weeks with basic materials and see if the extras are actually needed. Also, before doing your shopping, do a full inventory of what you already have so that you don’t accidentally buy anything that you already have. If you have more than one school-aged child, distribute the materials amongst them before buying multiples of each supply. When purchasing electronics, make sure that they are ENERGY STAR® certified. This is a great way to minimize your environmental impact by saving energy. Another tip when buying supplies is to look for items made from recycled materials. If you can’t find any in the store, you can always visit The Ultimate Green Store online. They have recycled materials that range from lunchboxes to backpacks and pencils. You and your child will have a much better school year knowing that you contributed to protecting the environment and probably saved a few bucks!